Emily is a local collage artist who often found herself in her bedroom as a child, spreading magazines and paper clippings out on her ugly green rug, clipping away as she listened to music. Now, at 31 years of age, Emily uses collage to not only challenge herself artistically but to also express herself through this form of art—and she does so almost daily. She often says, “Collage has been my method of documenting both happiness and hardships in the last year. 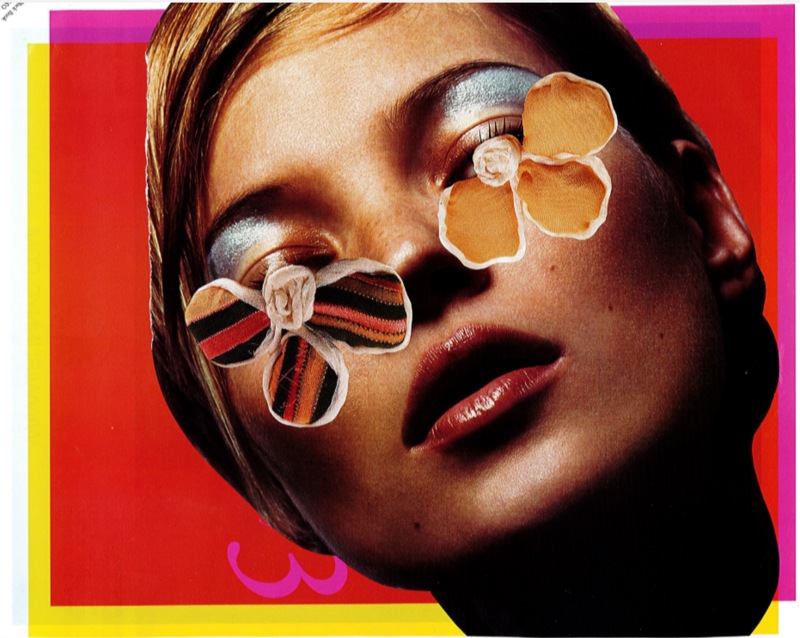 Collaging is one of the most universally expressive mediums. The images are already there; it’s just up to you to cut them out and put them together in a new way.” As a fairly new showing artist, with her first display occurring in 2016, this particular body of work displays the steady progression from simply cutting out shapes as they are to altering the shapes in a peculiar way. Photographs of couture fabrics become swirling, snake-like bodies. Photographs of faces take new life when snipped in peculiar ways, left eyes becoming right eyes, lips placed upside down, etcetera. Most pieces are cut with household scissors, and very few with razor blades. Common themes are galaxies, human beings, faces, arms and hands, meat, flowers, sexuality, roles of females and males in society, and various wildlife. Emily has displayed work at various galleries, including “Nasty Women” in Philadelphia and “Vulvacular” in Chelsea, NYC. Emily holds free monthly bring-your-own-everything workshops at various locations in downtown Lancaster. Follow her on Instagram at @collage__droupout. This entry was posted in Issue 9. Bookmark the permalink.